Johannesburg - The financial stability of SOEs remains a top priority for government, said new Finance Minister Malusi Gigaba. 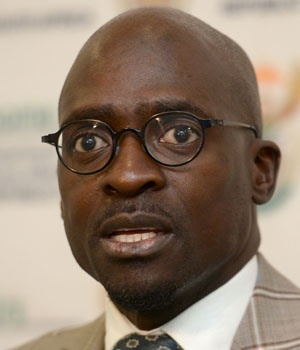 Gigaba was speaking at a press briefing following Standard & Poor’s (S&P) decision to downgrade South Africa’s sovereign rating from BBB- to BB+, or sub-investment grade. Ratings agency Moody’s subsequently issued a statement that South Africa has been placed on review for a downgrade. Moody’s currently has South Africa at Baa2, a downgrade to Baa3 would still be one notch above junk status. In its review, S&P pointed out that unrated SOEs such as South African Airways (SAA) and the South African National Road Agency (Sanral) pose a risk to the country’s fiscal outlook. Moody’s also indicated that there were concerns about whether reforms to ensure fiscal and economic strength, some of which linked to SOEs. Moody’s plans to assess progress on these reforms to achieve “transparency, accountability and good governance” in the SOE sector, among other things. He pointed out that many of the SOEs raise capital in domestic and international markets and it is important to demonstrate to these investors that funding will be paid back. Gigaba added that government has a critical role in supporting SOEs. “Raising government guarantees raises challenge as government guarantees themselves are reaching a limit in terms of our ability to keep on issuing it,” he warned.